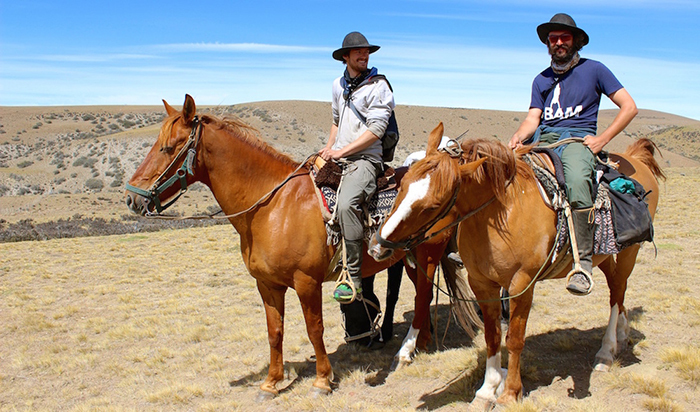 Leon and Tom making their first horseback journey in Patagonia. Photo courtesy of Leon McCarron. In this podcast episode adventurers Tom Allen and Leon McCarron join me to talk about making independent, long distance, human powered journeys off the beaten track. Both are Fellows of the Royal Geographical Society. Both have made seriously long bicycle journeys, taking them through countries and terrain many wouldn’t even consider visiting, never mind cycling through. Tom continues to explore the potential of bicycle travel as a tool for making personal, meaningful journeys. In 2012, Leon and Rob Lilwall walked from Mongolia to Hong Kong, a 3,500 mile hike, which featured in a 4-part National Geographic series about the journey. Leon is also known for the 1,000 mile journey through the Empty Quarter desert, with Alastair Humphreys, retracing the steps of Wilfred Thesiger, pulling their equipment and supplies on a specially designed 4-wheel cart. Both Tom and Leon’s big trips have involved making films or films having been made about the journeys. They recently teamed up to make a couple of adventurous journeys together, one in Patagonia, Argentina and the other in Iran. Both journeys had purpose and meaning. Each has resulted in the video footage captured during the trips being made into feature length films. I caught up with Tom and Leon in a north London park, not far from their editing room, which I sensed they were keen to escape from. Click here to read or download the transcript of Paul Kirtley Podcast Episode 009. Thanks Paul for another great podcast. It was fascinating to hear about the planning behind these types of trips / adventures. I am very much looking forward to viewing both of the films when they are released. Cracking work on these podcasts, the perfect length for my commute in and out of work. 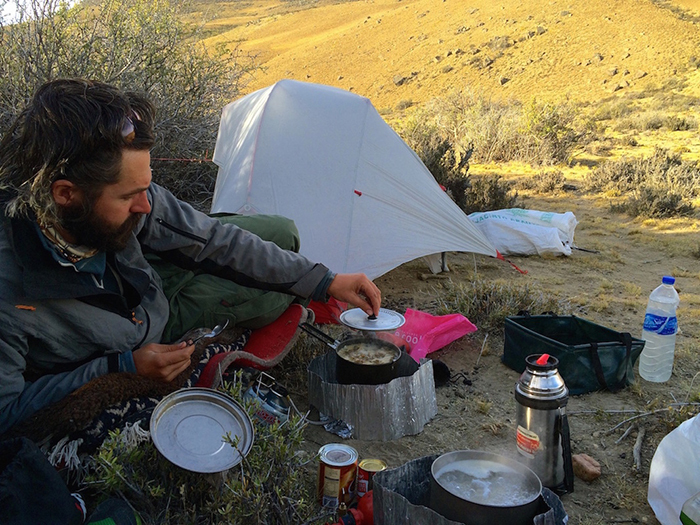 Have you considered throwing in the occasional anecdotal episode about your own adventures? I’m sure plenty of folks would be interested in listening to your own trips outdoors, whether its a trip that had an issue you overcame which people could learn from, or a trip that went perfectly and makes a great story. Great podcast Paul. Thanks for doing it, and the unseen labour and time behind it. Have shared. My pleasure Craig. Thank you for your words of appreciation and for sharing this.